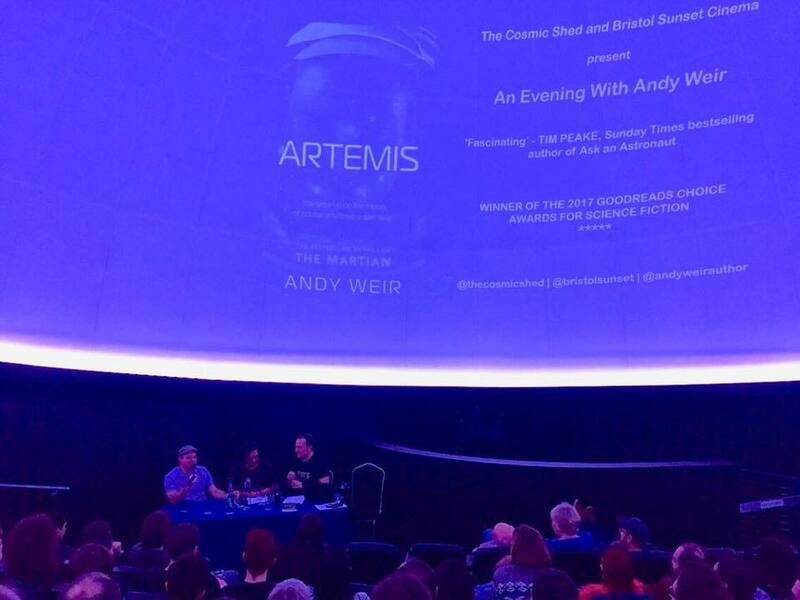 A very special episode of the Cosmic Shed as we bring you the audio from last night's wonderful evening in the Planetarium with Andy Weir, author of Artemis and The Martian in collaboration with the wonderful Bristol Sunset Cinema. 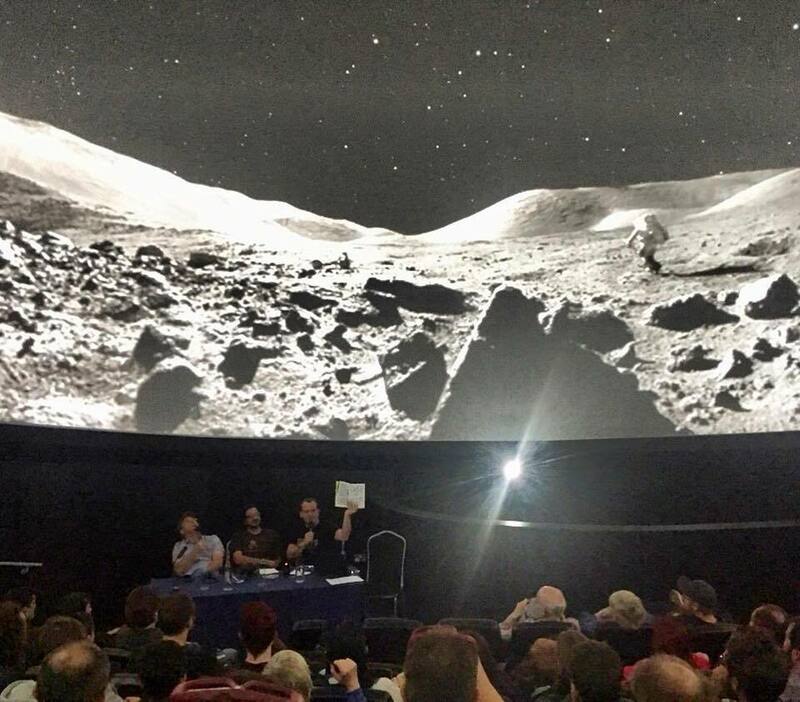 Andrew shows the audience the page that brought a tear to his eye while Andy can't keep his eyes off the Moon's surface. 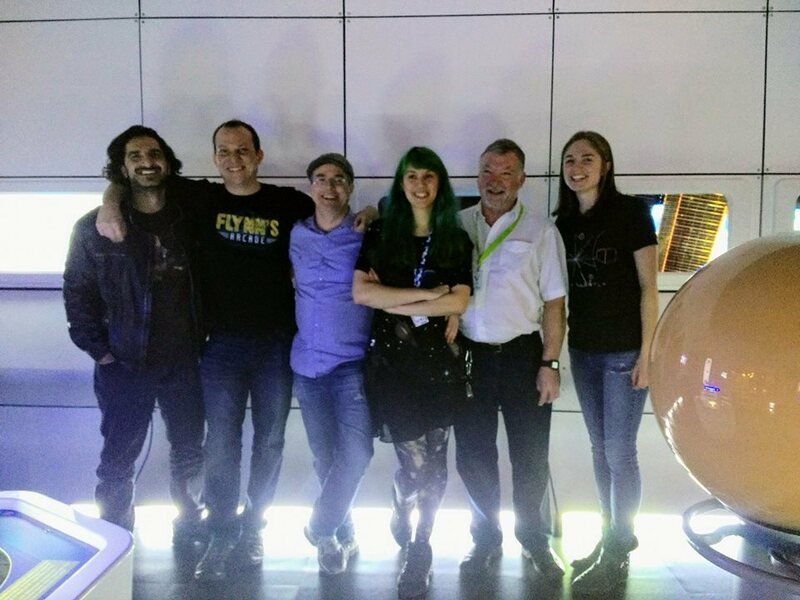 Andy kept us entertained all night and, as you can see, Tim Peake's fan...and so are we. 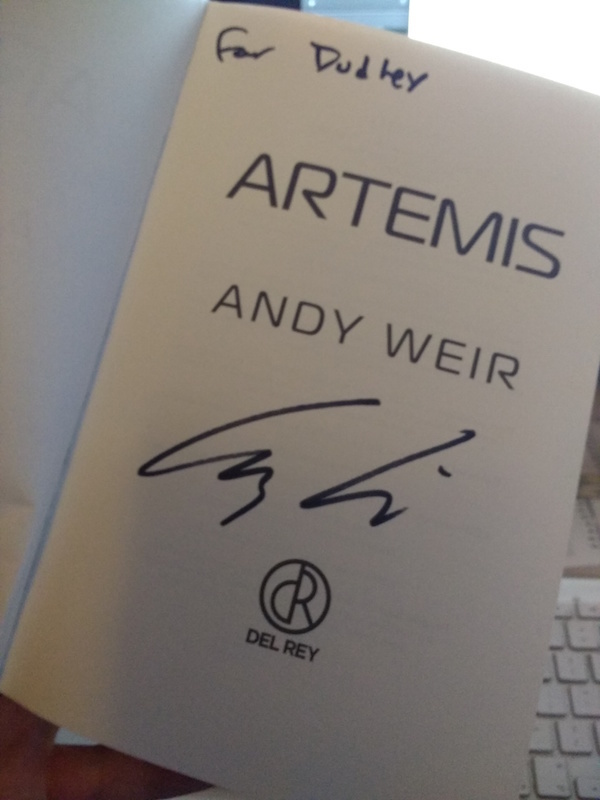 You'll have to listen to the episode to find out why Andy Weir signed Andrew's book to "Dudley". For the record, Dudders loves his new nickname...after all, Andy Weir gave it to him. Thank you so much to all of you who came along. It was great to meet many of you. See you at the next event!